Whoa 2 posts in a day. I am on a roll but seriously people, I just about died when I just saw this photo come up in my feed on Pinterest. So much so that I thought I should share it with you in case you missed it. You MUST GO THERE NOW! Seriously to check out the beauty for yourself. 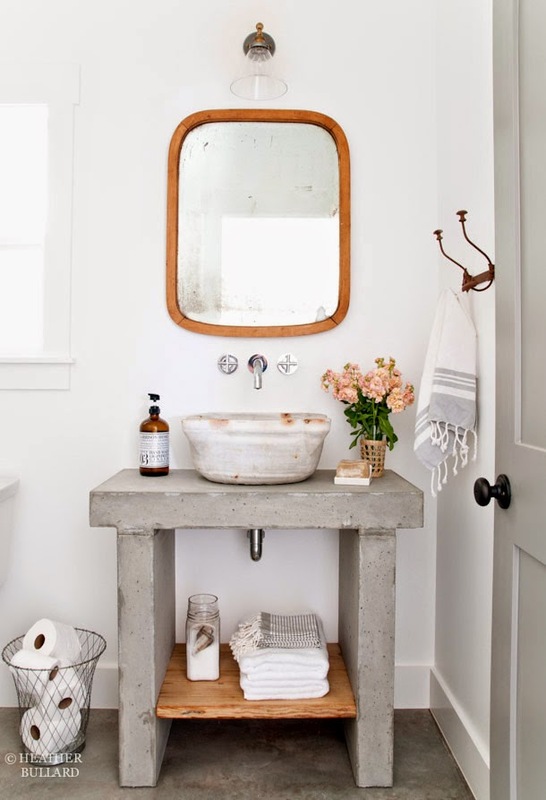 I am a major lover of concrete and even though I was unable to convince my dear husband of the merits of our kitchen counters being concrete, I may just be able to con him into something like this for our basement bathroom when we get around to doing it.